SOS Forum • Drawmer CMC2. Grrrr, Thomann; hurrah, Drawmer! Drawmer CMC2. Grrrr, Thomann; hurrah, Drawmer! I decided to upgrade my Samson monitor controller to the highly recommended Drawmer CMC2. Both the Drawmer web manual for it and the SOS review stated that the PSU came with 4 styles of adapter pins. Thomann was significantly cheaper than anywhere in the UK, but safe in the knowledge that I would simply fit the UK 13A AC pin set, I ordered it from them. 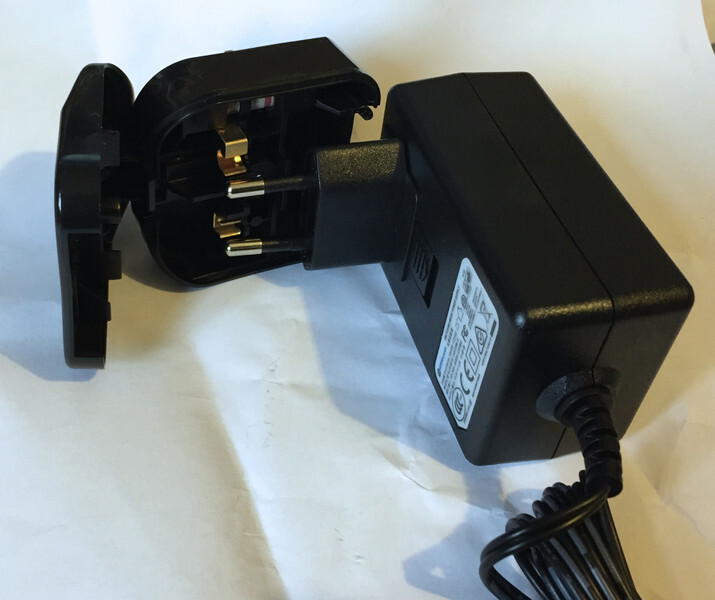 Slight misgivings began when an order confirmation showed an additional EU 2-pin to UK 3-pin snap-on adapter (of the type suitable for shaver style 2-pin leads, not wall-warts). But snug in my belief that the box would contain all 4 AC pin adapters, I put aside any fears and awaited its arrival. It's just arrived. But with only an EU 2-pin AC connector to snap into the PSU and a totally inappropriate 2- to 3-pin adapter that absolutely won't work with the PSU. Even if the hole in the side of the adapter was big enough to fit the PSU pin base through, it wouldn't grab the PSU and would be totally unsafe. Before contacting Thomann, I emailed Drawmer to see if they supplied Thomann with all four AC-pin types, or just the EU one. I got a very prompt reply from John Lamb of Drawmer, saying that whilst they did initially supply all 4 adapters, it was costly to do so, and three always went to waste, so they no longer did so. However, Thomann chose not to keep a stock of the UK converters to be supplied with UK orders, but instead send out these absolutely useless converters (which I believe is against EU law). But Drawmer are now sending me the correct UK adapter plate free of charge, so a big hurrah! for Drawmer and a big boooo! for Thomann, whom I will now never use again. Drawmer are also going to update their manual to reflect this. - It's probably worth updating the web CMC2 review with the fact that only one adapter plate is now shipped with the PSU, so always buy from the country you plan to use it in. Re: Drawmer CMC2. Grrrr, Thomann; hurrah, Drawmer! I've been reluctant to use Thomann recently as there seems to be a lot of stories about their various failings floating around. Thomann are, ATEOTD, a box shifting operation. They most certainly should not be sending out these dodgy adapters but I'm not sure if it's EU or UK law that forbids plug in adapters. The adapter they sent in this case would have been fine if the PSU had been a Class 2 line rat type with a two core lead as the requirement is that they need a tool of some sort to remove them. This completely reflects my own experience of Drawmer's after sales support. A splendid outfit. Luke W wrote: I've been reluctant to use Thomann recently as there seems to be a lot of stories about their various failings floating around. I've used them a lot over the years although less so now due to the weakening of the pound. Whilst I get the sense that things are not quite as sharp as they used to be (orders not processed quite as quickly and delivery times are a little longer) they haven't actually let me down (I received my latest order just last week). I still find them to be the best stocked / biggest range out of all the suppliers but I do tend to avoid them for anything with an external power supply for the reasons above. I'd be very happy to use my local music shop, even if they were more expensive if only they had what I wanted. What I like about Thomann is that they have all the little bits and pieces I need so I tend to wait until I need a more expensive item then bundle everything together and get free delivery. Sam Spoons wrote: They most certainly should not be sending out these dodgy adapters but I'm not sure if it's EU or UK law that forbids plug in adapters. There's actually no problem with shipping an adapter with the product, providing it is an appropriate type and suitably certified. 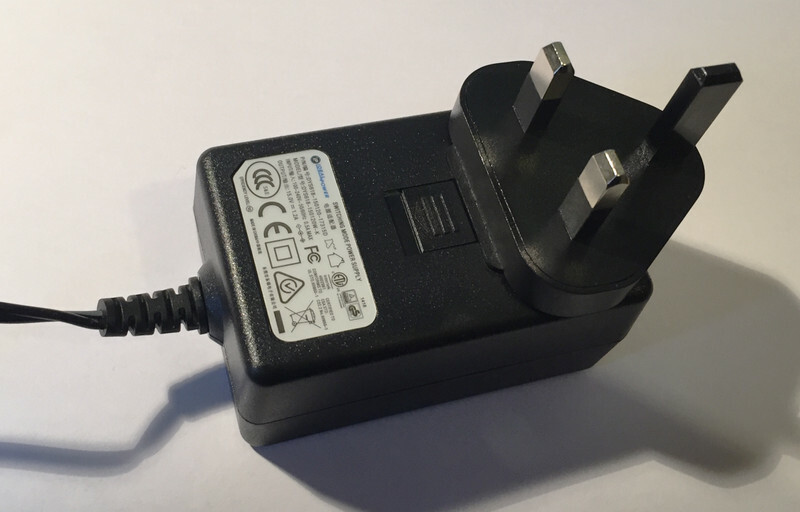 Those clam-shell type adapters for two-pin CEE7/16-II Europlug (type C) plugs are completely safe and type-approved, and would be perfectly acceptable for a 'flying mains lead with a plug onthe end. Sadly, though, it is obviously not in any way appropriate for the wall-wart power unit of the Drawmer! And just as a point of information, the two-pin shaver plug (BS 4573 standard), while superficially very similar to the Euro plug (CEE7/16-II type C), actually has slightly different pin diameter and spacing. Very nice to hear that Drawmer are being so helpful. They are nice people who make nice products and actually care about their customers. I'm very happy to continue my enthusiastic recommendation of their products. I too will never use Thomann again as in the past they changed the date that stock will be available, with it going from 3 days to 3 weeks and probably even later. I cancelled that order. I also find their price is sometimes higher than quoted when order is placed, and you are also slammed for currency charges on you credit card once it appears on the statement. They also sent me some weird adapter which in no way worked, but luckily SD had the relevant adapter included for the UK. Yep -- I just wanted to emphasise that shipping from the EU with an appropriate UK adaptor is fine. A lot of people think it's not. The problem in this case was that the adaptor wasn't appropriate -- and actually the only appropriate type here would have been the specific slot-in plate for that particular wall-wart. ... a recent purchase of mine from UK company GAK arrived with an EU wallwart and no adapter at all. The UK pin adapter came through the letterbox this morning, so I now have a fully functioning PSU. Thank you, Drawmer! That certainly beats those weird (and unreliable) Euro-UK adapters. Did you have a word with Thomann about this Wonks? The last time I ordered from Thomann I got an EU wall wart and no adapter, but they did send one out to me as soon as I contacted them.